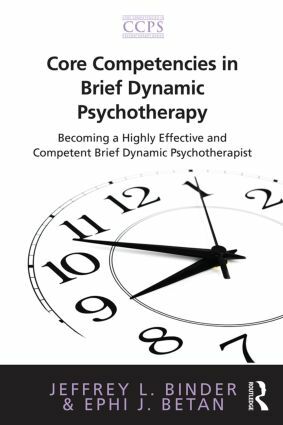 This book addresses the essential clinical competencies required to conduct brief dynamic therapy. Authors Jeffrey L. Binder and Ephi J. Betan discuss the conceptual foundation of their treatment model, and the application of this framework in forming and maintaining a therapeutic alliance, assessment, case formulation, implementing a treatment plan, termination, and treatment evaluation. All topics include a multicultural perspective and sensitivity to ethical issues. Binder and Betan attempt to bridge practice and research by consistently incorporating relevant research findings. Graduate students in the mental health fields and beginning therapists will find in this text the basic concepts and principles of brief dynamic psychotherapy presented in a clear and straightforward style, with many clinical examples drawn from detailed patient and therapist interchanges. Seasoned psychotherapists will find in Binder and Betan’s discussions of case formulation and therapeutic discourse a fresh treatment of classic ideas about the therapeutic value of constructing personal narratives. At all times, the authors explicitly tie the components of their approach to the competencies required of the brief dynamic therapist. In the current environment of accountability for results, attention is given to the ongoing assessment of therapeutic progress and ultimate outcomes. This text is a scholarly yet practical guide to the evidence-based practice of brief dynamic psychotherapy. Jeffrey L. Binder, PhD, ABPP, is Professor of Psychology at the Georgia School of Professional Psychology, Argosy University. Dr. Binder has extensively published and presented on the topics of brief psychotherapy practice, training, and research, and the nature and development of clinical expertise. Ephi J. Betan, PhD, is Professor of Psychology at the Georgia School of Professional Psychology, Argosy University. Dr. Betan has published and presented in the areas of professional ethics, multicultural competence, countertransference, relational psychoanalysis, clinical expertise in psychotherapy, and psychotherapy training. Competency represents a paradigm shift in the training and practice of psychotherapy that is already challenging much of what is familiar and comfortable. This series addresses the core competencies common to highly effective psychotherapeutic practice, and includes individual volumes for the most commonly practiced approaches today: cognitive behavior, brief dynamic, and solution-focused therapies.